The View From The Tub! A hot tub is the ultimate in luxury. The warmth, the bubbles, the sensory delight of floating in water. But the feeling of luxuriousness is further heightened when it is combined with stunning scenery or a fabulous view. It is a luxury that is as old as the hills. What we today call a hot tub, the Roman Empire called a Caldarium, but the idea – using warm water to wash away stresses and soothe aching joints remains the same. Where skiing was once all about hitting the slopes hard and then enjoying the apres ski in a bar in the resort, many of today's skiers are more discerning. After a day of skiing, what better way to unwind and ease aching muscles than to slip into a hot tub and drink in the view of the very mountains you have just conquered on skis. The Swiss resort of Verbier is home to some of the best skiing in Europe, with some of the best accommodation. 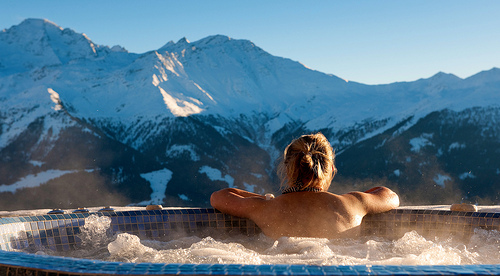 But when it comes to a tub with a view, then the hot tub in the Septieme Ciel chalet is recognised as the best in town. The chalet is perched high on the Savoleyres side of the Swiss Alps and the hot tub has unfettered views across the mountains, making for great views and even better star-gazing. On the other side of the world, where JR Tolkien found inspiration for the Lord of the Rings, New Zealand has some of the southern hemisphere's best views. Whether it is mountainous views in the summer or snow-covered peaks in the winter, the Riverrun resort beside Lake Wanaka is just a beautiful place to sit and relax. The resort's hot tub is a fabulous cedar wood design, with a roaring fire nearby so that getting out of the tub is also an enjoyable experience. The Knoydart House in Loch Nevis, Scotland, offers its guests fabulous views of Loch Nevis, one of the beautiful lakes found on the West Coast of Scotland. The eco-lodge, which serves as a holiday home for up to 10 guests, boasts on its website that it has one of the best hot tub views in Scotland. Certainly the uninterrupted sea-loch views would bear witness to that claim. The hot tub has floodlit, wraparound lighting and mood lighting within the tub. 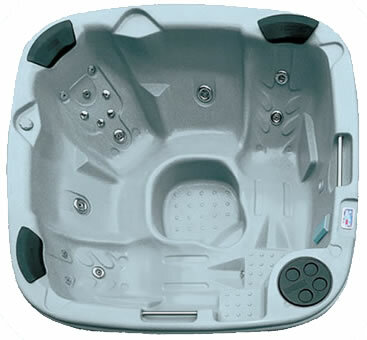 Whatever the weather, the hot tub maintains a constant 40 degree temperature. 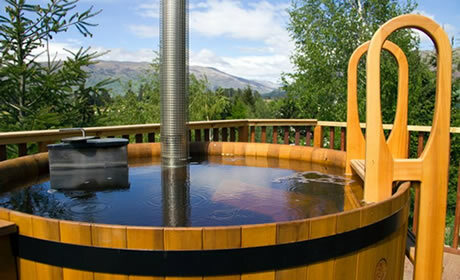 Hot tub users can take in the gorgeous mountain views after a day of walking in the hills or doing waterspouts on the loch. With its coastal location, you might even catch a glimpse of a whale in the distance or a sea-otter near-by. 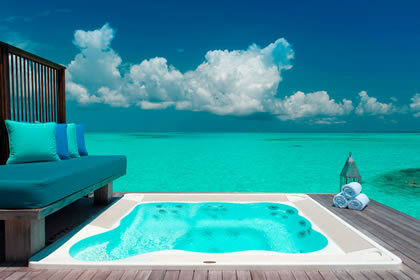 Our final tub with a view can be found in the Maldives on the Conrad Maldives Rangali Island. The hot tub overlooks the azure blue of the Indian Ocean and is surrounded by a vibrant coral reef and miles of unblemished, white sandy beaches. With the decking literally touching the ocean, this hot tub is just one step away from being in paradise. Don't forget, we'd really love to read your comments on any of our blog articles OR any ideas that you might have for future blog posts! To do so, Just click on the 'LEAVE A COMMENT' link at the bottom right of each article and then submit your comments/ideas to us.